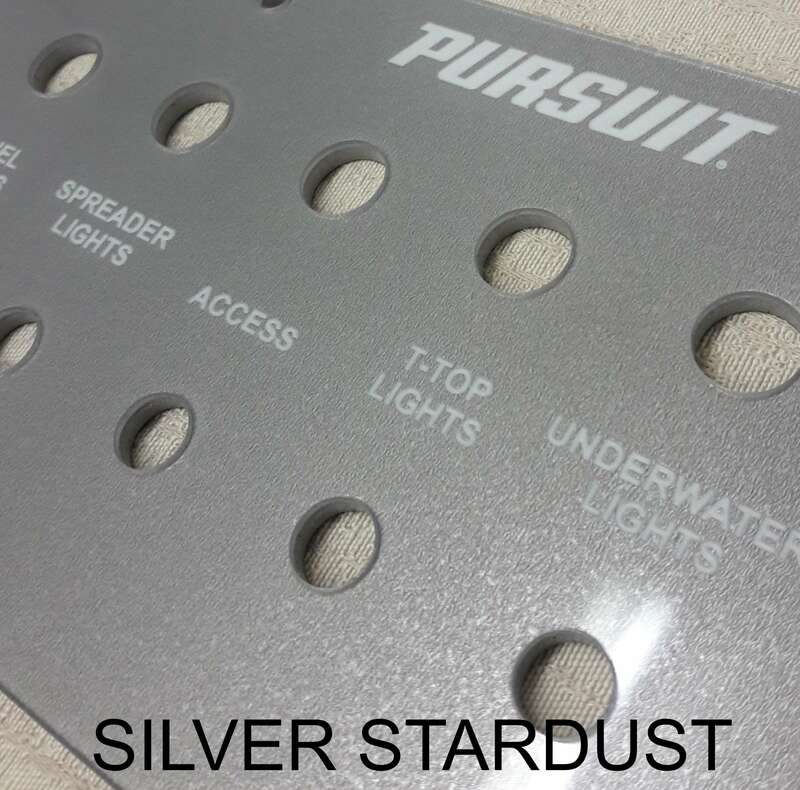 If you do not see a sub-category for your manufacturer, please email us a picture of your panels to sales@fpmarine.com and we can email a quote. All of our material has a deep high gloss finish. All engraving is protected by a layer of clear acrylic so there is no fading, chipping, or dirt that can affect the engraved areas. 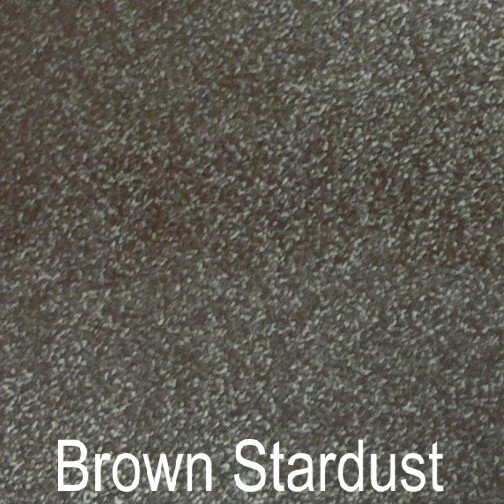 Black Stardust: All of the "Stardust" colors have a metal flake type appearance. It is subtle but will sparkle under the right light. This color looks great as a replacement for plain black panels. 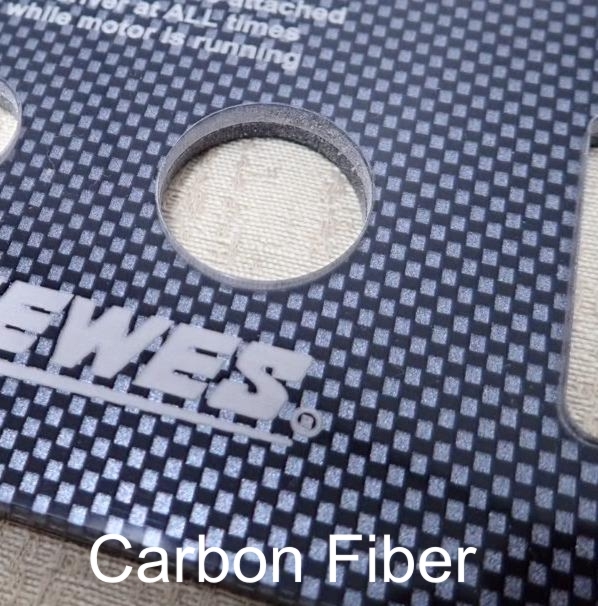 We do not carry any plain black material. Light Silver: Nice silver with a very fine metal type flake. 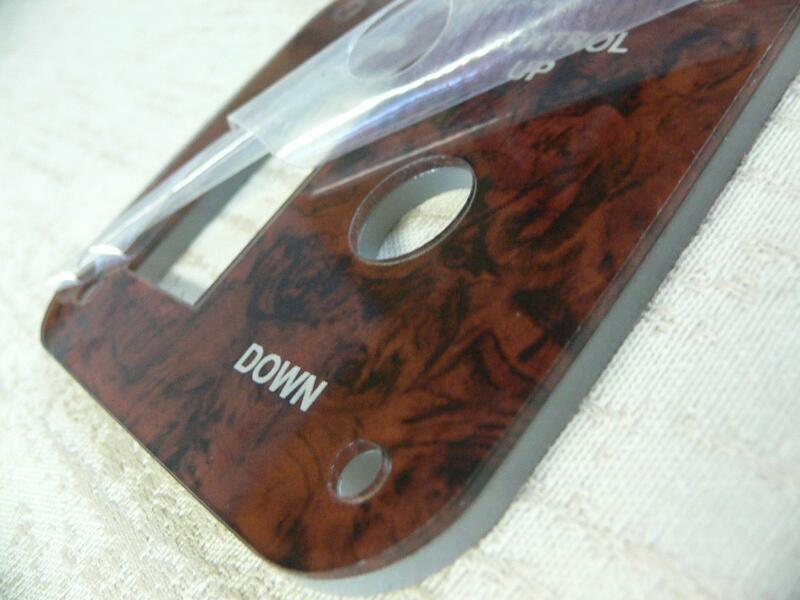 Good replacement for original Wellcraft panels if you are looking for the same look. Black engraving only, white will not show up well. 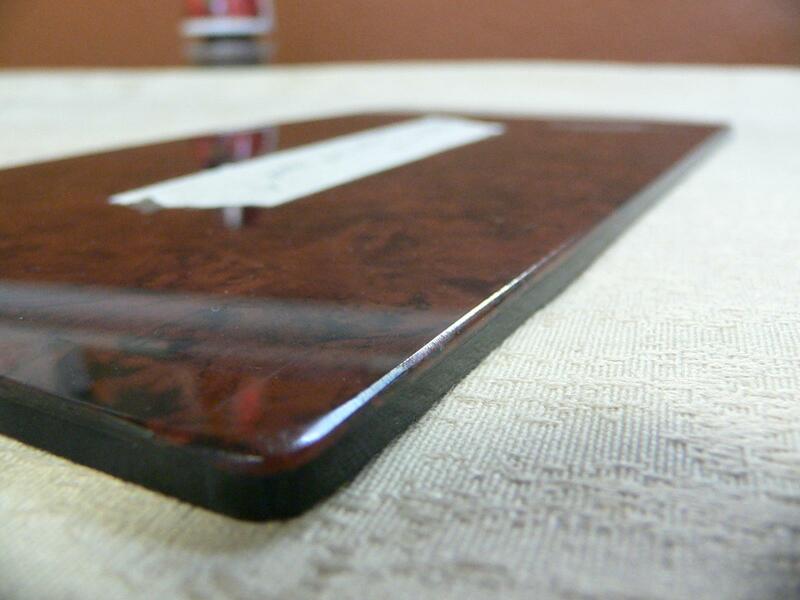 Cherry Burl: This is our custom developed color to match 2002 and newer Sea Ray models. It is a deep cherry with black burl swirls. White engraving is high contrast. This color looks great in replacing any of the dark burls found on Wellcraft, Regal, Monterey, etc. High Gloss Black: We refer to this color as "Clear Black" because it is a black color underneath a 1/8" thick layer of clear acrylic. 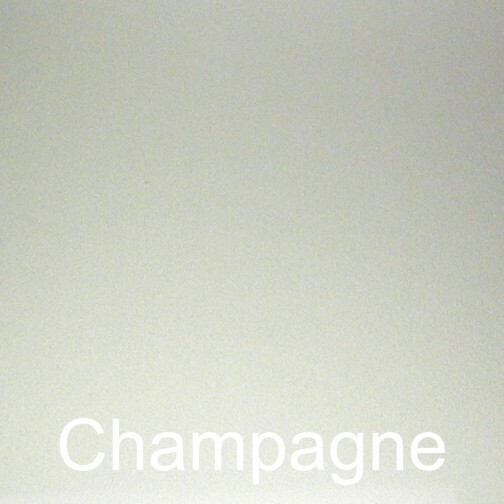 White Stardust - Great alternative to plain white. 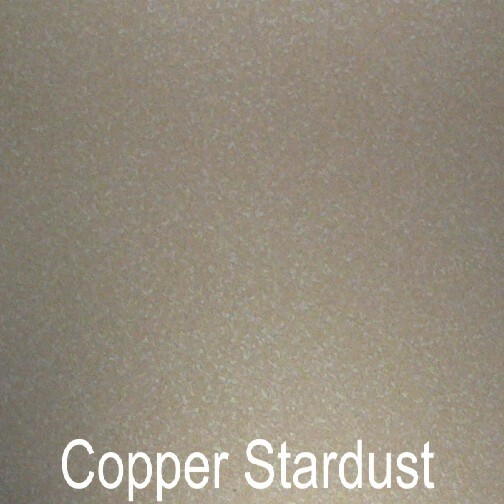 This color has a metal flake look like our other Stardust colors. From a distance it looks like plain white, but up close it "Pops" and you can see the depth of the panel. Highly recommended to replace a plain white panel. White - The color is under a 1/8" thick layer of clear acrylic so any engraving highlights the depth of the panel. This would be considered "Plain White" or "Solid white". Please note our panels have a flat edge. Most panels will have opaque white backing so backlighting can be used. 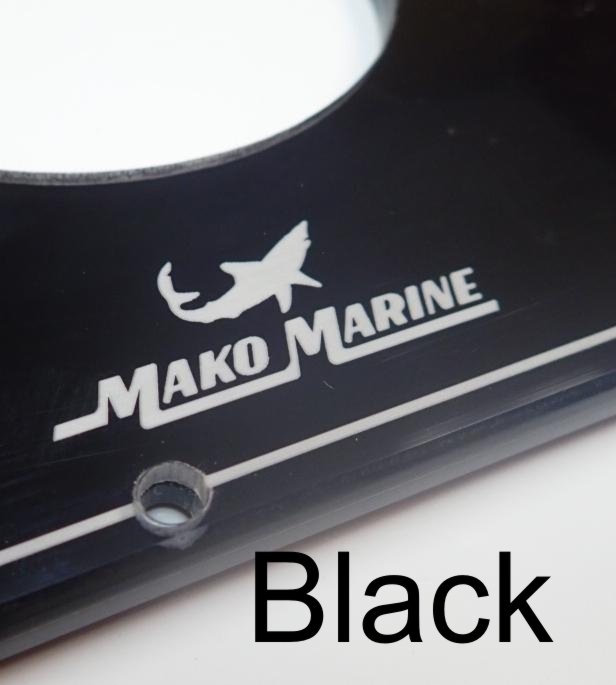 Some of the larger panels that hold heavy electronics and darker color panels will use a black backing that is more flexible and forgiving when making large cutouts for electronics.